Pre-Soldered Connector: We took the liberty of adding an XT-60 connector to make it a simple a connection to your battery. Pre-Soldered 3.5mm Bullet Connectors: This makes attaching to our FT Radial Motors a breeze. 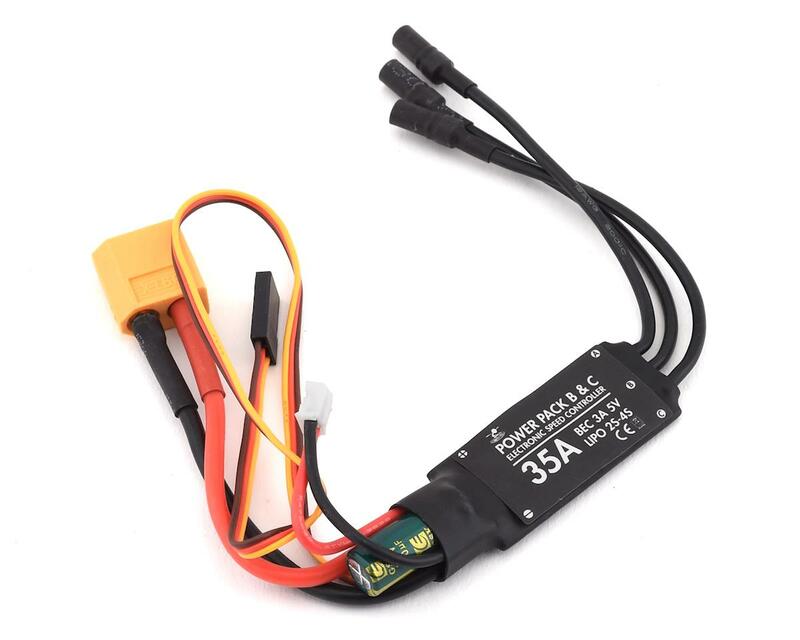 We suggest using the FT 35A ESC with the Power Pack B and Power Pack C sized radial motors. This esc is sweet! 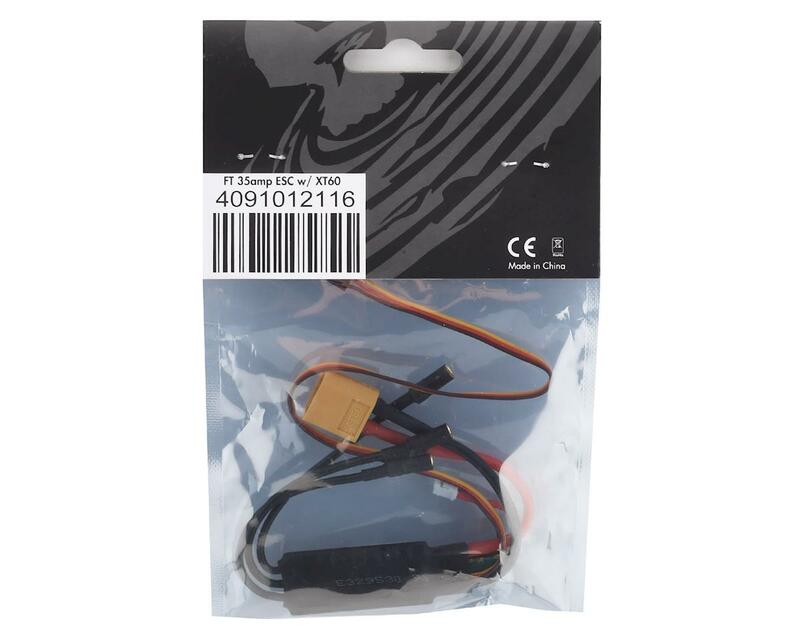 I've only used it with an emax LS2207 2300kv, works great on 4s, probably over-kill.